Summer is here, not only causing the temperatures outside to rise, but also the price of oil. The warmer months mean vacations and increased driving, which in turn drives up oil prices as demand climbs. The rise is for American oil; internationally prices were kept down by increased output in the Middle East, which caters to customers in Asia. West Texas Intermediate (WTI) crude oil futures were up 17 cents/barrel to reach $49.50 on Tuesday. “Investor positioning points to further support for commodity prices as bearish bets continue to be reduced,” ANZ bank said on Tuesday. 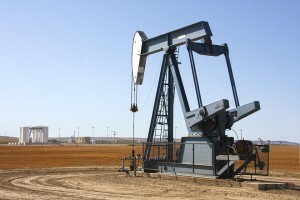 Middle Eastern crude exports increased, causing prices to decline. Brent crude futures lost 11 cents from their last close, closing at $49.65 per barrel.